It was instituted on November 18, 1910. 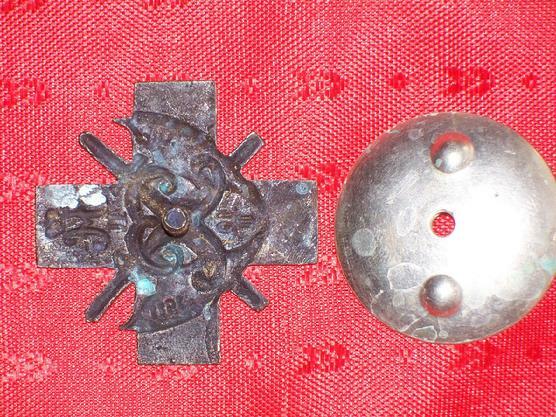 Russian Imperial equal-ended cross in the center of which are two crossed silver halberds. 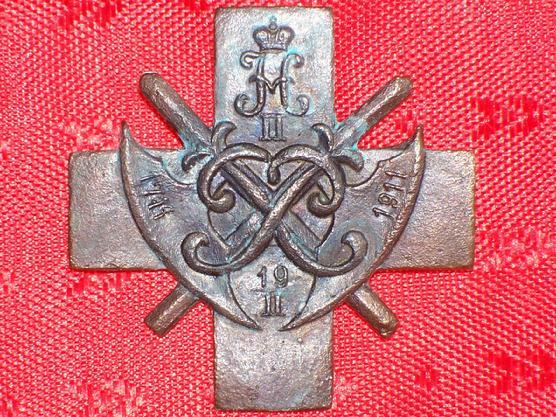 On the halberds is the cypher of the Emperor Peter I and on the upper ray of the cross is the cypher of the Emperor Nicholas II beneath the Imperial crown. On the blades of the halberds are inscribed the dates "1711" and "1911". In between the blades, on the cross, is another date "19/II". 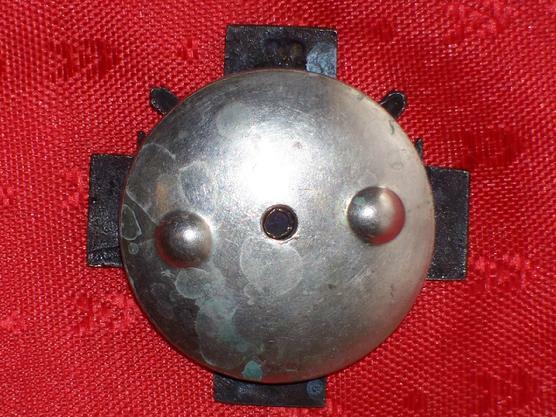 This particular badge was made with three date: "17/II", "18/II", "19/II". The date "19/II" is more rare. The screw bolt is slightly bent, but otherwise in good condition.